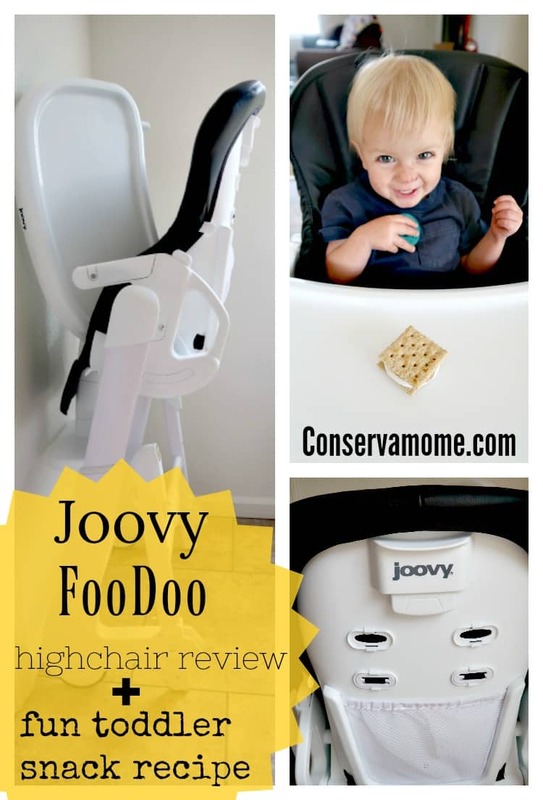 Find out why the Joovy FooDoo highchair has become a favorite in our home and Check out a fun toddler snack recipe..I received the Joovy FooDoo for free in exchange for my honest review. All opinions are entirely my own. Feedings young kids can go one of two ways. Either they are hungry enough to gobble up everything you serve to them or they become stubborn and refuse to take even one bite of the most delicious and tempting lasagna you’ve ever made. Whichever kind of eater you have (and believe me, I know it can fluctuate hourly) Joovy has got you covered. Come along as I tell you all about the Joovy FooDoo highchair and show you how to make a fun treat for your toddler. First, lets talk about the highchair. 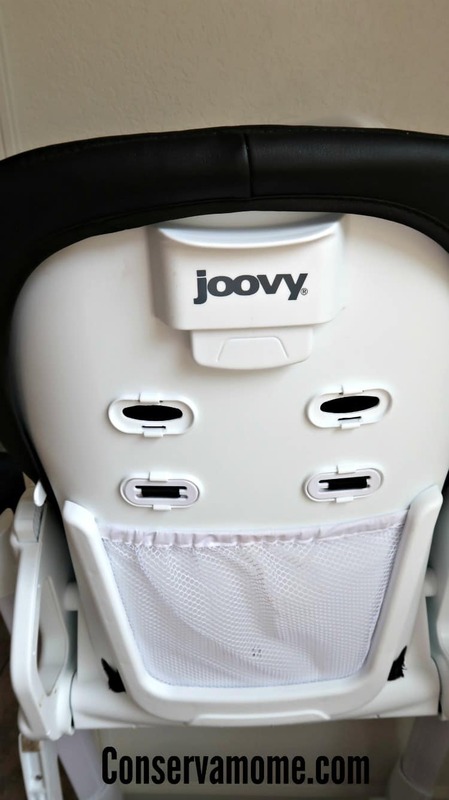 The Joovy FooDo is a transitional seat that can accommodate children from 6months up to 50lbs. 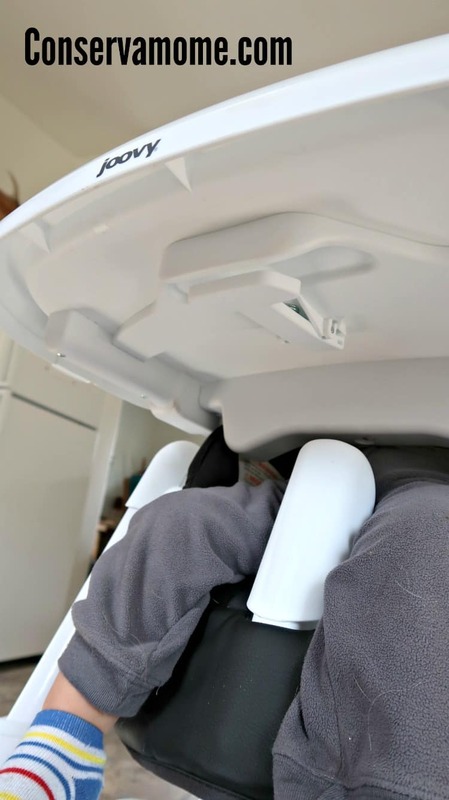 The seat reclines in five different positions to accommodate very young babies as they grow into toddlerhood. The height is also adjustable and it’s one of my favorite features. At the highest setting my little one has a great view of the kitchen and our dogs cannot reach the tray. (I know I’m not the only one who has that concern.) At the lowest setting the seat is around the same height as the couch which we took advantage of for a fun family movie night while we munched on treats. There are 8 total height settings. You can adjust the height with these ergonomically designed handles. The chair also folds in which makes it so much easier to store and keep out of the way while my son isn’t using it. There is a lever on the bottom of the tray which lets the tray comes off in one swift movement and parents can do it one handed – isn’t that perfect? It’s like the designers at Joovy are parents too! 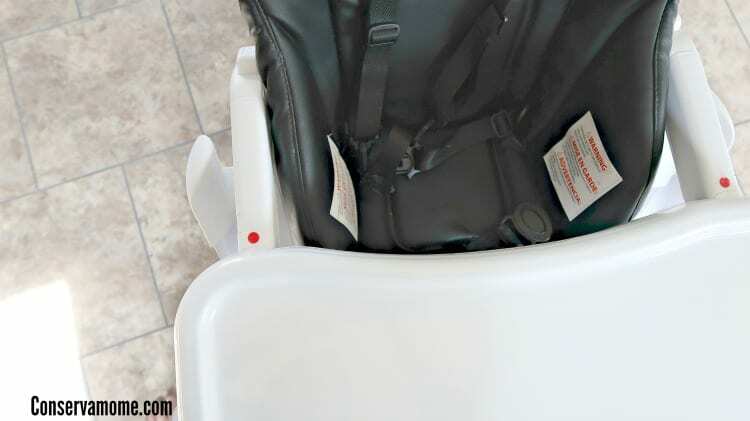 There are also little red dots to warn parents that the tray is not securely attached. 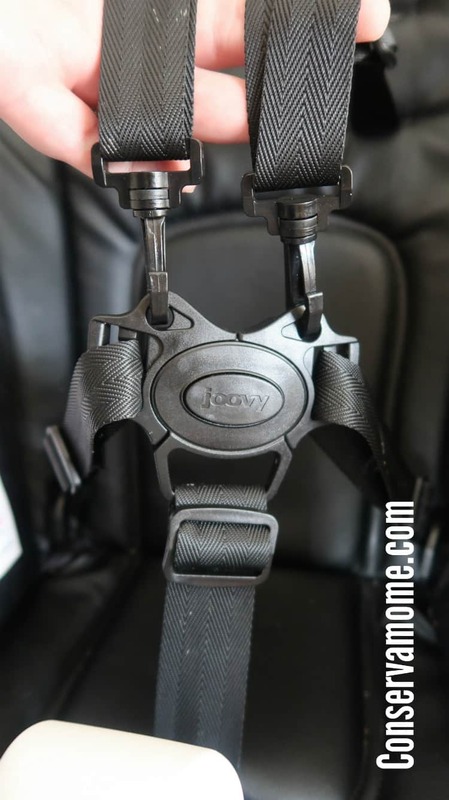 The harness is easy to use and has all the quality I have come to expect from Joovy products. The seat pad is made of leatherette and is very easy to wipe clean. Joovy offers three nice colors too so you can choose one that matches your home. Now, if you’re looking for a new snack or treat for your littles, you’re in luck. I love to make Mammy Treats for my little fella. “Mammy” is what we called my paternal grandmother and she made these crackers for us all the time. Now, cover the bottom of a baking sheet with crackers. Make sure and count how many you have on the pan and count out the same number of crackers and set aside. Next, place one half of a regular sized marshmallow on each cracker. Turn your oven on broil and put the pan of crackers with marshmallows in until the tops are golden brown. 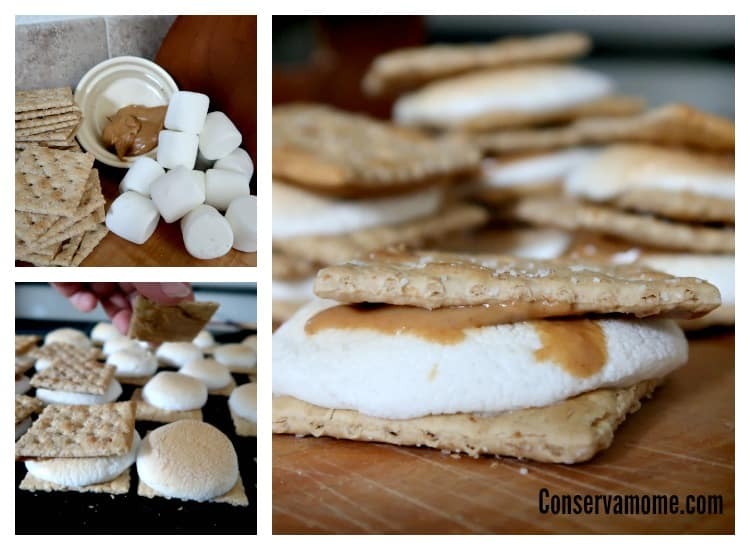 While the marshmallows are toasting spread peanut butter on the crackers you set aside earlier. These are the tops of the Mammy Treats. When the marshmallows are toasty looking take the pan out of the oven and, while the marshmallows are still warm press on a peanut buttered cracker to make a s’more-esque sandwich. 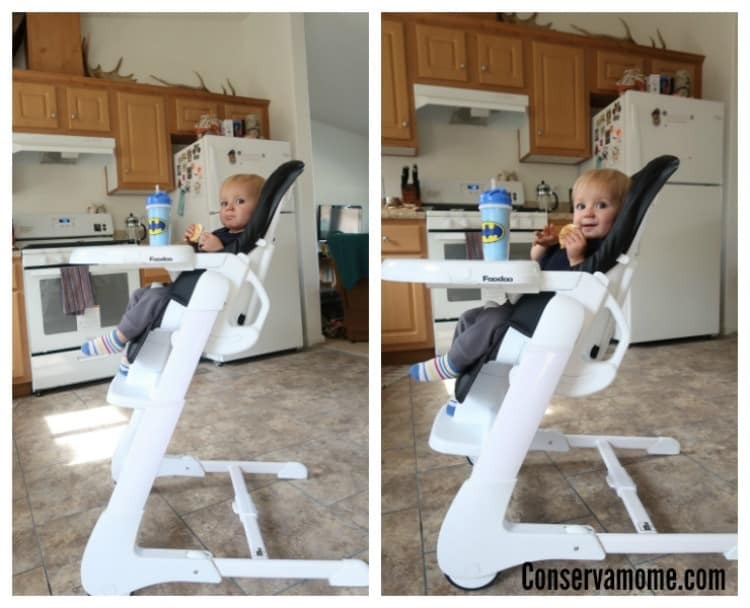 There you go, a great highchair and a great snack to serve. 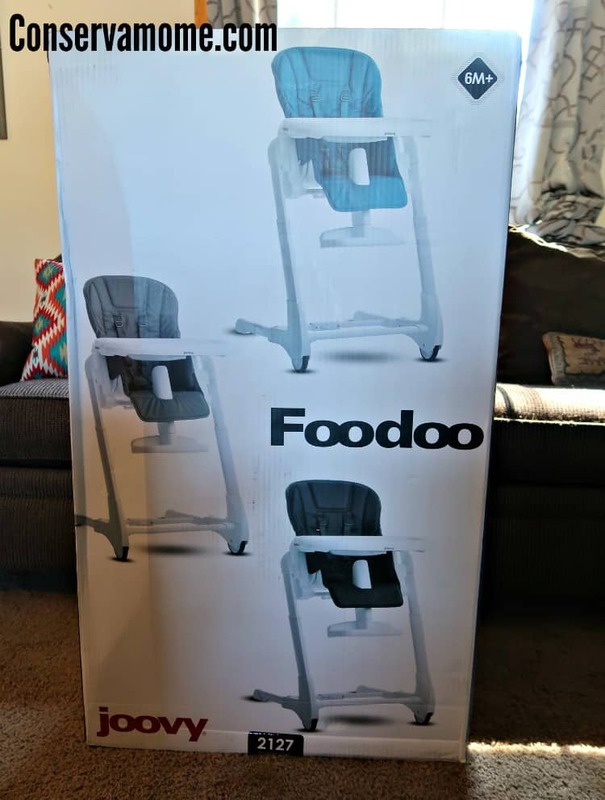 Joovy has knocked it out of the park once again with the FooDoo highchair. Everything Joovy makes is magic so be sure to check out the rest of their products on their website. This sounds like a great high chair and the recipe sounds yummy. I love the modern look of this high chair. This would be great for a grandparents house as it folds up so narrow! This is great for easy storage! Not taking up alot of kitchen space aswell as easy & compact it folds up to be would be perfect to take to Grandma’s house w/ us while eating holiday dinners or anytime else! Love the easy snack! I love the sound of this highchair. Searching for one for my daughter for her first child. I really like that it folds up and shrinks down for storage and travel. What a great review! I am going to try out the recipe, looks yummy and I know my kids would love it. Great looking product I will have to buy when I start my family. I really like that you can fold this one up pretty compactly. My current chair has a wide base and takes up so much room and is difficult to put away if not needed. 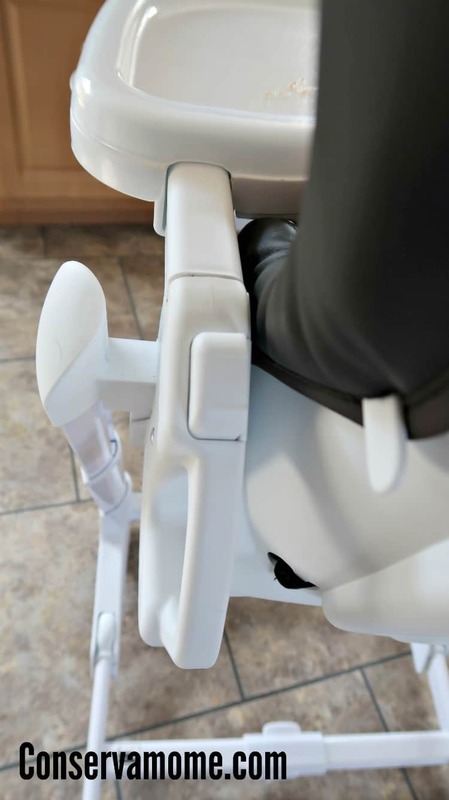 This high chair looks great – too bad it wasn’t around when we were looking a couple of years ago! The snack also looks yummy! 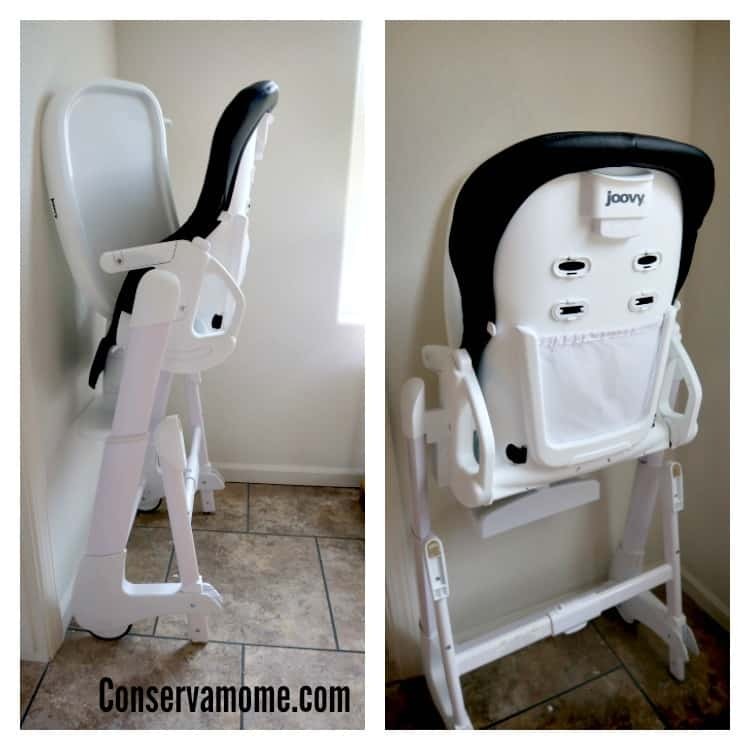 This is such a cute high chair, will definitely check it out. I absolutely love everything Joovy!! They have not disappointed me with this amazing high chair! I love that it’s easily cleanable and folds so flat!! Plus its not an obnoxious color and goes well with any home decor! WOW ! That chair has so many settings! Love the fun and yummy toddler snack!